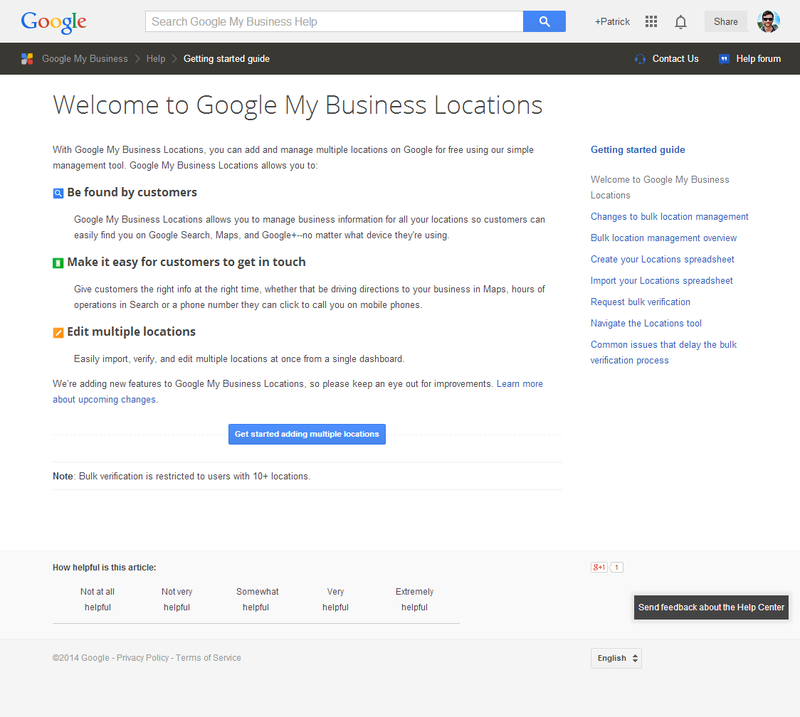 Google has launched a new local business management tool called "Google My Business Locations". At first glance, this appears to be the long awaited replacement for "Google Places for Business". In fact the old link https://www.google.com/local/business/ redirects to a 500 error page. Here is a quick overview of the new interface. 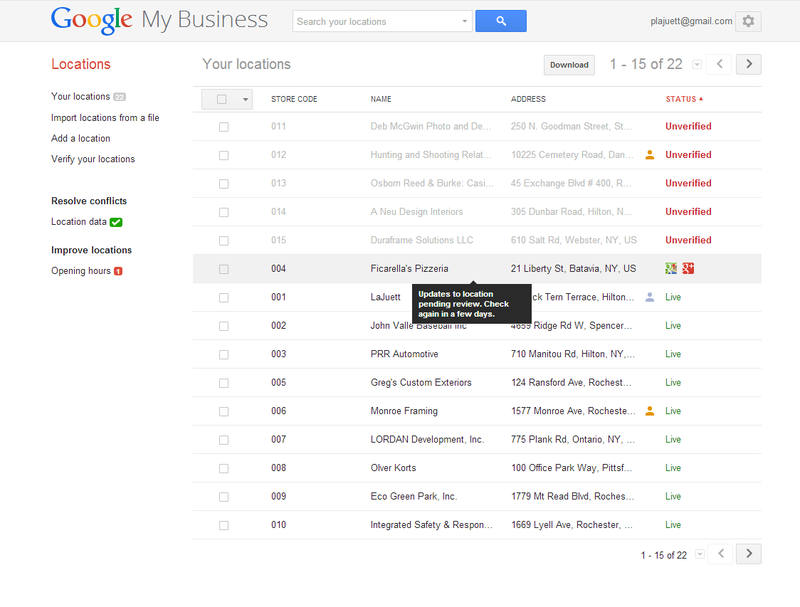 Note the message "We’re adding new features to Google My Business Locations, so please keep an eye out for improvements. Learn more about upcoming changes. 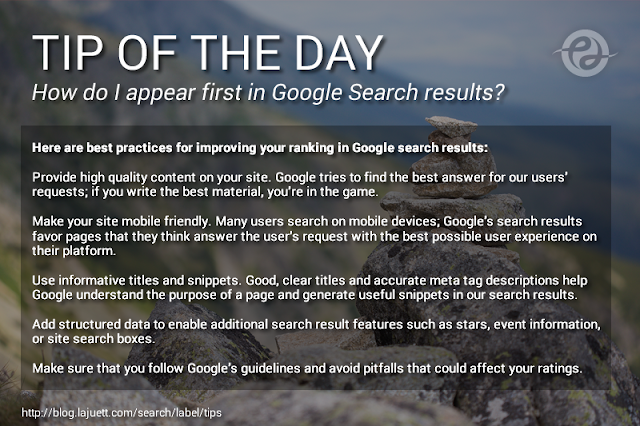 For us SEO's, this tool is a great way to quickly diagnose local listing issues for multiple clients. On the screen below, we see that we have a few unverified business, as well as a data conflict and opening hours issue. We can investigate and remedy issues by drilling down into the individual business data. 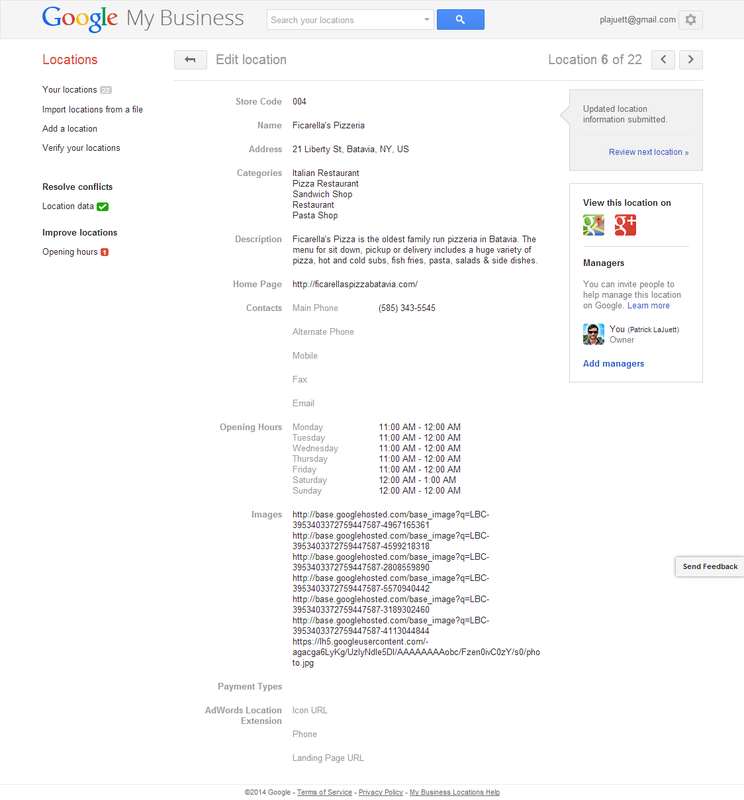 A really nice new feature is direct linking to the business listing on Google Maps, as well as the associated GooglePlus page. I also noticed a few stray html tags in the business descriptions field. Probably from a copy and paste via the customer's website. These are now easily identified and removed. I don't recall this functionality in the old interface. Here we see that the most recent updates we made to the business data are pending review. I am thrilled with the new interface. 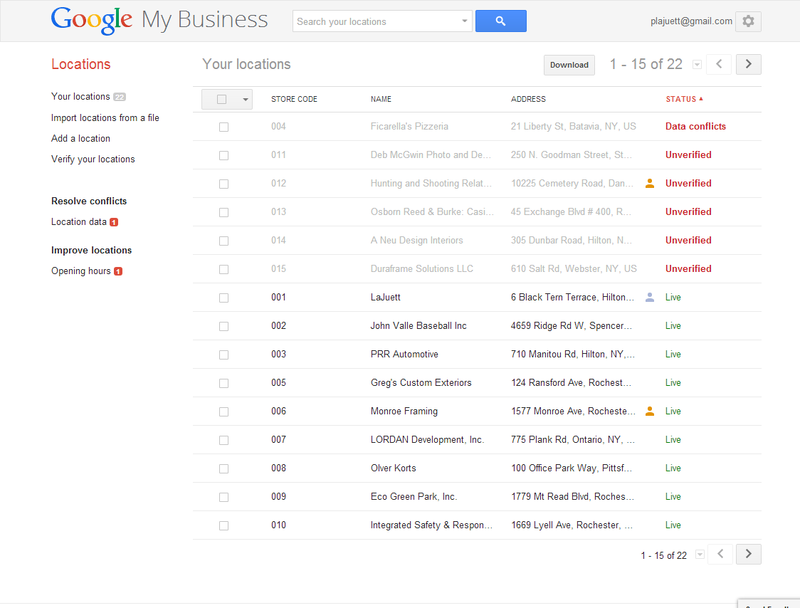 I think Google has finally merged all of the old Google Local and Google Places data into Google Plus pages. 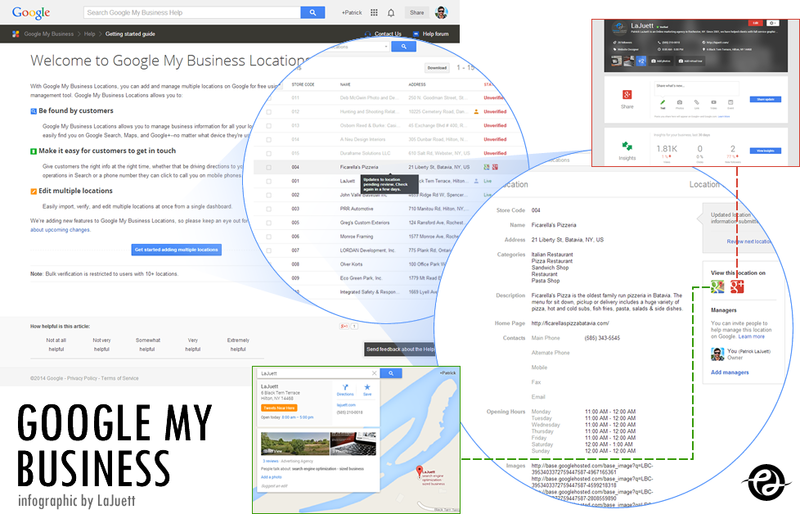 The new Google My Business management tool will certainly make life easier for folks who help manage multiple business locations. Well done Google!